Amelia had her six month old well baby visit this morning (side note: she is actually seven months old today). 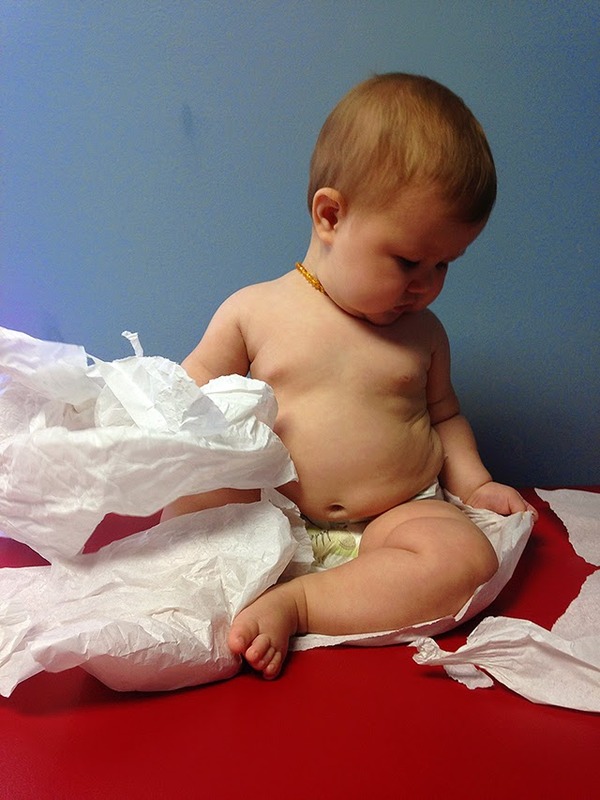 Our precious Chubster (as Daddy loves to call her) is developmentally on point and is healthy as can be. I notified the pediatrician that I have been non-compliant with giving her daily Pulmicort because I worry about the side effects of inhalant steroid. I was reassured (again) that although it is not normally prescribed until a child is a year old, it is best to do preventive steroid inhalant compared to the oral dose, which she has needed twice for reactive airway symptoms. (The oral dose is systemic and affects the entire body whereas the inhaler is targeted directly to just her airways) I am still torn but with Nathaniel starting school next week and the cooler months ahead, it may be something we need to do.